Are you looking for remote and affordable computer support services? Our full range services suite will ensure to resolve any urgent issue in minimum time at a fraction of the cost. We provide fast and quick resolution to ensure the business downtime is minimal. We provide data backup, remote desktop and device support for both Mac and Windows operating systems. With 365 IT Cloud Services, you can opt for ‘pay-as-you-use’ model to reduce your overhead and operational cost. We provide secure, fast, and affordable computer support services in Dallas so that you can focus on growth. Why Hire US For Your Computer Support Services? 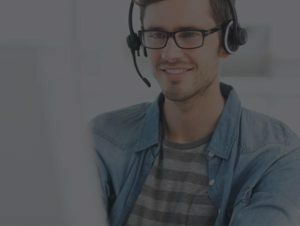 End-to-End implementation – As your premium IT support partner, we act as your virtual ‘support’ arm to resolve small to large issues immediately. Quick, Fast and Reliable – Our services are quick and reliable. You do not have to worry about the quality of the services also. Focused Business Growth – You focus on business, while we focus on resolving IT issues. 24×7 support – We provide 24×7 IT support for all helpdesk and other issues. Do you want to hire a reliable IT support provider for all your business requirements? Contact us today for a free assessment!